Lisa Laporte discusses how Instagram stories can be helpful for business marketing. Naturally, business owners want to make the best use of the time they have for marketing to create valuable content that attracts steady streams of traffic over the long run. Many businesses approach content marketing as purely blog posts and favor content that sticks around permanently. For that reason, many companies, especially smaller ones, have yet to understand the value of content, such as Instagram stories, that only lasts for a short time. Generally speaking, Instagram stories can stimulate interest in a brand and keep interested prospects and loyal customers engaged. People enjoy seeing new products and being kept up with developments at a company. Allowing consumers an inside look at the people and daily routines at your business helps your company seem relatable. Here are a few of the benefits you can get from utilizing Instagram stories. Every day, hundreds of millions of people interact with Instagram stories. Many of these users are almost addicted to the creative ways that brands and individuals share their content. Furthermore, engaged users are more likely to generate traffic to and register visual messages by sharing them with others and clicking on links. Small companies rarely have the time to invest in the production of feature-length videos and intricate graphics. When companies choose to use Instagram stories for marketing, they can accomplish a lot in a short time period. After all, everything you post will be gone the next day. So, anyone with a few moments to spare can quickly log in and post photos and messages that can spread brand awareness and increase sales. Despite the high level of user engagement, Instagram stories tend to get less exposure than traditional social media content. This level of engagement gives businesses a chance to experiment with new ideas without fear of causing permanent damage to their brand. Similarly, when they discover content that resonates, they can tweak it for use on the Instagram feed. Every time businesses create a story on Instagram, they can add links that lead to more information hosted on their main website. Because visitors have already expressed an interest in a particular topic or brand, this type of traffic can lead to higher conversion rates that contribute directly to your business’s bottom line. Additionally, external links can elevate a business’s website in search engine results. 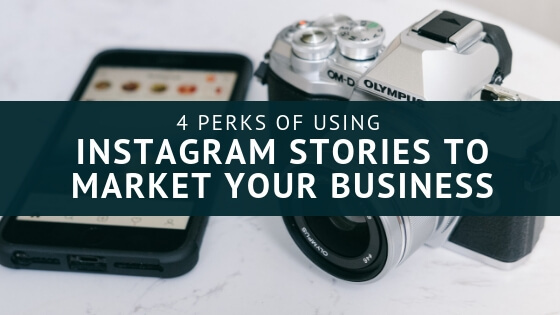 In conclusion, Instagram stories give businesses a rich environment that they can use to connect with their target markets and expand their reach. They can also quickly engage in marketing activities and test new ideas. Best of all, new features are in the pipeline that will make Instagram stories even more exciting and profitable for business users.